Khayelitsha is a squatter camp/informal township on the outskirts of Cape Town, South Africa. It is home to nearly 2 million people. 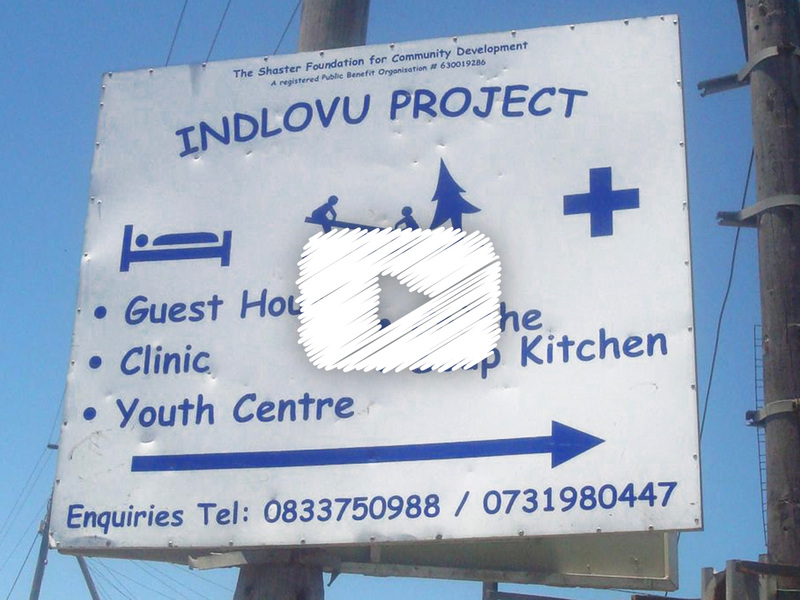 Over a period of 3 years, we helped develop the small community of Monwabisi Park. A two-story building was erected to house the medical clinic. On the ground level there are free consultations and medicines, and upstairs is the Youth Centre with computers, library, pool table, desks/chairs for homework and studying and a music box for dancing. Another 2 story building constructed was Auntie’s Guest House, which will bring revenue to the community, and next door to the first new township house for a family. The Solar Panels on the roof supply hot water for showers. There is also 2 flushing toilets which feed the Bio-gas Converter which converts the human waste into Methane Gas which in turn fuels the cookers of the Soup Kitchen and the Creche. Our Soup Kitchen feeds around 200 people per day in winter and 50 in the summer months. We equipped the existing creche with gas cookers, kitchen equipment, plates and cutlery for the kids as well as wall charts and school books. Our project leader, Pat Carrigan, lived in the squatter camp for 5 months building or repairing many shacks. He set up sports clubs and took many of the children in our ‘Backie’, pick-up truck, on outings to the beach or the cinema or Table Mountain. He led teams of young people to collect, clean, shape and then paint recycled plastic bottles and turned them into illuminated Christmas trees which the Mayor of Cape Town had commissioned and displayed in the centre of the city as the official Christmas lights. The community was invited to the switching on ceremony. We have also endeavoured to help improve the lives of children who live with disabilities from the camp. Tataumbeli has been crippled from birth. We paid for a special hand-propelled bicycle that now gives him a freedom he never had before. His friends can’t remember the last time they saw him. Vincent is a young man who was shot and lost both legs below the knee during the apartheid era. He has a wife and young son and is expecting to be a father again in two months time. The family live in a shack 3m by 4m. Spirit Aid built a new home for Vincent and his family with a new double bed. We finished our work in Khayelitsha in December 2007. Our partners in South Africa were the Shaster Foundation who managed the development. Help us to continue supporting this work in South Africa by making a donation towards our target. Any donations, no matter how small, will enable us to continue our work on the ground in Cape Town.